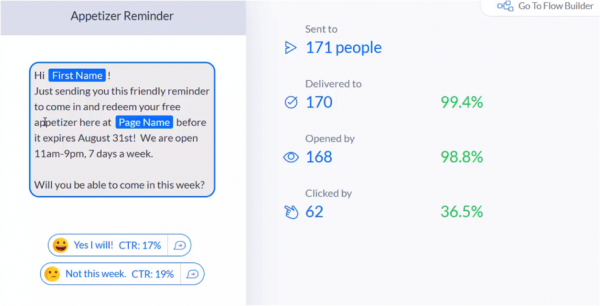 Messenger Marketing is growing up fast. It wasn’t that long ago that nobody had even heard of it. But today? Today even small local companies are using it to attract interested leads and help turn them into new customers. Even more importantly, this campaign generated qualified leads for just 85¢ apiece! And the best news is that this campaign isn’t complicated or difficult to set up. In fact, chances are good that you’ll be able to copy and tweak this campaign to fit your business needs in just an hour or two of work. 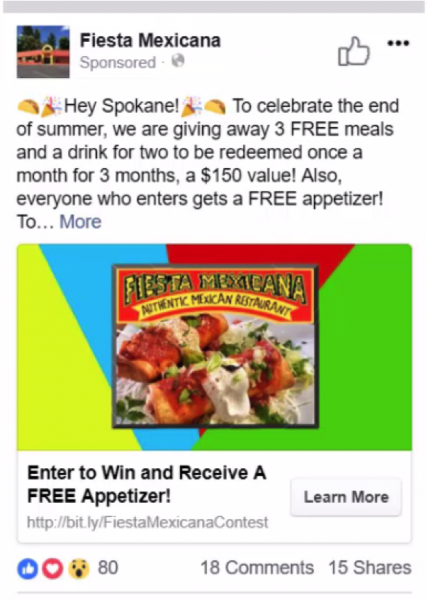 A local Mexican restaurant called Fiesta Mexicana wanted to promote an offer. The winners would each receive a free meal for two, and everyone else got a coupon for a free appetizer just for entering. 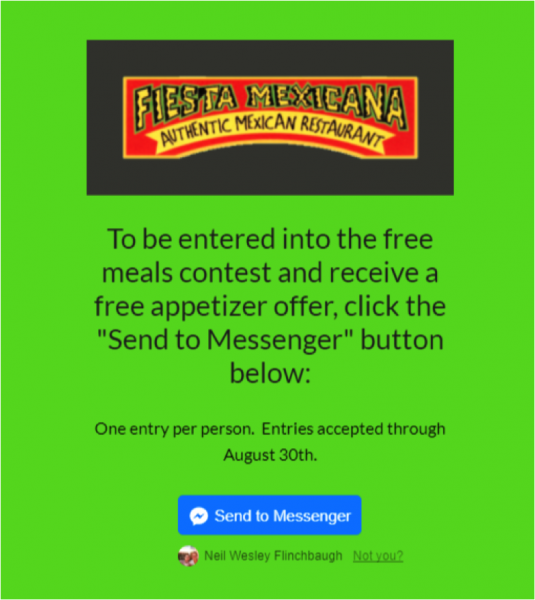 Fiesta Mexicana’s goal was to promote this offer to as many people as possible, as cheaply as possible, and help bring more people into the restaurant. 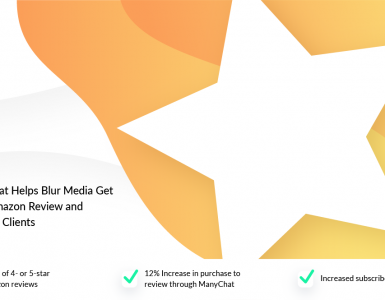 I knew there was a lot of potential for using Messenger Marketing to promote an offer like this, so I decided to test it out. The results, as you’ll see, were impressive. 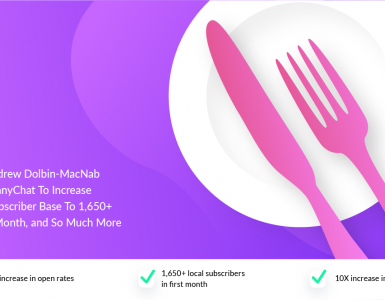 It’s a simple image ad, but worked really well to spread the news of their promotion. The ad targeting I used was also fairly straightforward. I tested a few different age groups, and simply targeted people who liked Mexican food—burritos, tacos, tequila, salsa, and so on—who lived within 10 miles of the restaurant itself. Here you can see we spent a total of $146.12, reached over 9,000 people and generated 305 clicks (cost per click of 48¢). 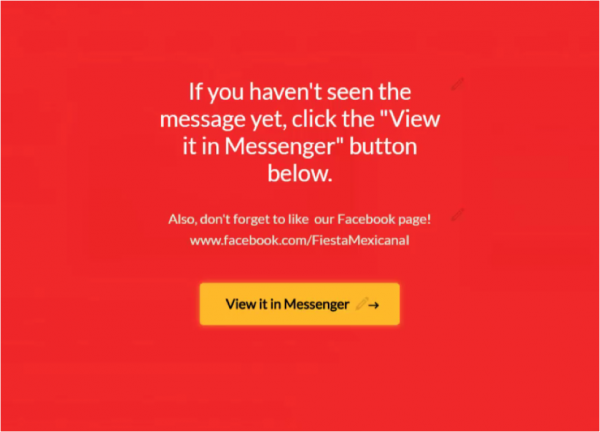 From here you just have to click “View it in Messenger” to open up the chatbot. 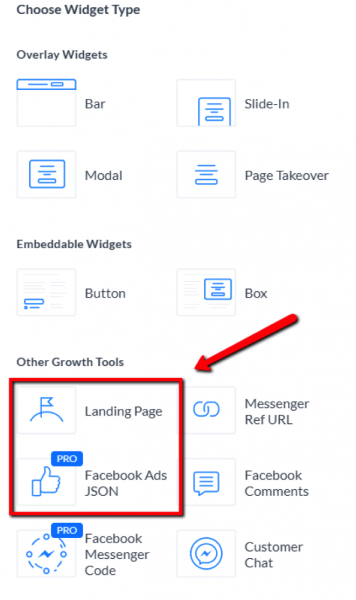 If I were to do this over again, I would probably use the “Facebook Ads JSON” growth tool, rather than the “Landing Page” tool, inside of ManyChat. 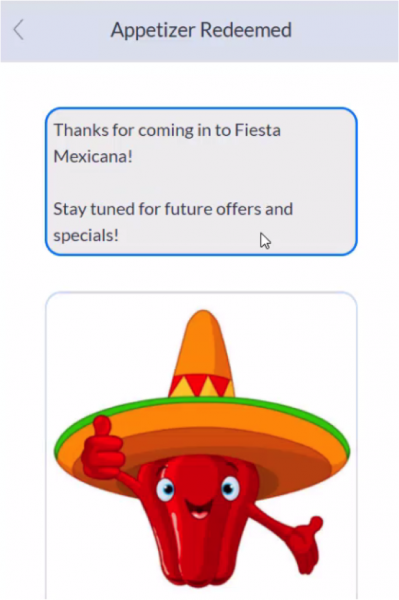 The Landing Page tool worked fine, but I don’t like the fact that it requires 2 clicks to reach the chatbot. 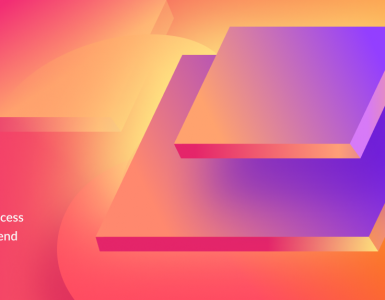 The JSON growth tool would accomplish the same thing in fewer clicks and might have improved our landing page conversion rate. 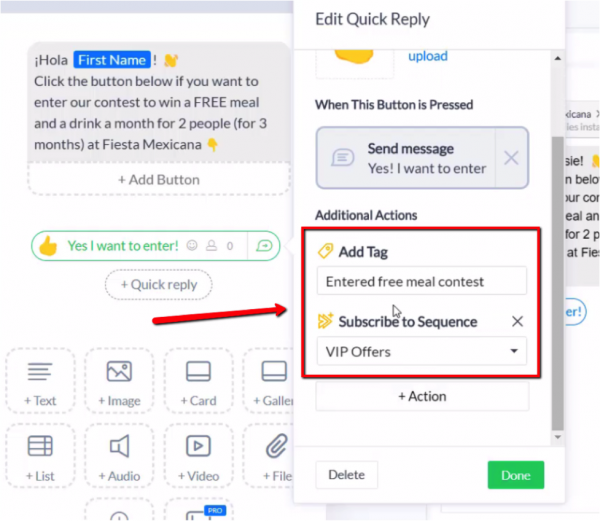 I wanted to keep track of everyone who entered the contest, so I tagged anybody who clicked this button with the tag “Entered free meal contest” and subscribed them to our VIP Offers sequence. So how well did this message work? Take a look for yourself. It was delivered to 173 people. 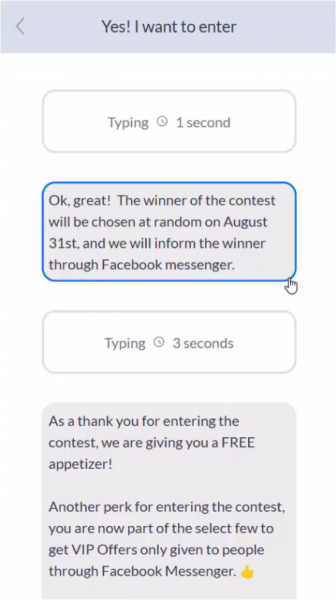 Everyone opened it, and nearly everyone—171 people, or 98.8%—clicked the button to enter the contest. The point of the coupon, of course, was to help draw more people into the restaurant and turn them into long-term patrons. So in order to achieve that goal, we needed to maximize the number of people who actually redeemed their coupon. It wasn’t enough to simply give people a coupon. 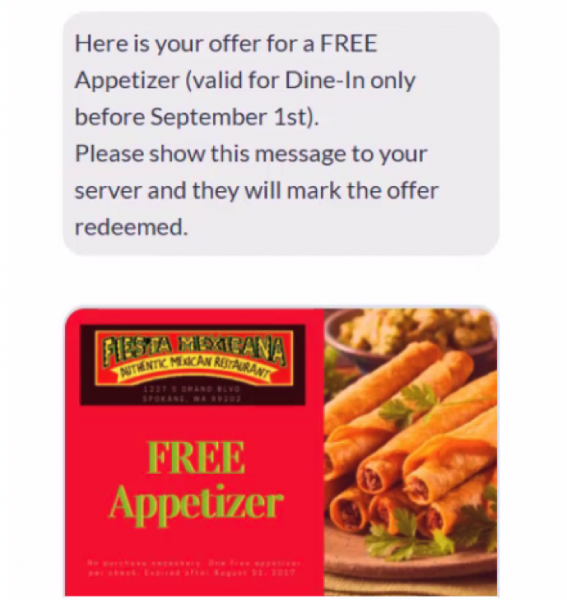 We wanted people to actually USE the coupon—to come into the restaurant for a meal. So I wanted to make it as easy as possible to redeem the coupon. Giving people a printable coupon seemed like a bad idea. I didn’t think many people would go through the effort of actually printing out the coupon and bringing it with them to the restaurant. 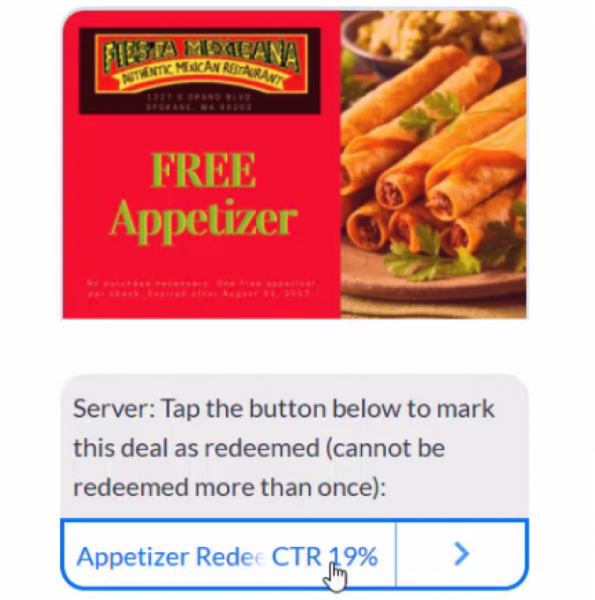 Their server would then click the “Appetizer Redeemed” button, redeeming the coupon. If you take a look at the stats, you’ll see that this thank-you message was sent to 33 people. Which means that out of 171 people who entered the contest, 33 of them actually came into the restaurant to redeem the coupon. That’s a 19% redemption rate—pretty impressive, considering those people had to actually visit the restaurant to redeem their coupon! How did you get such a high coupon redemption rate? People are busy, and we know it’s easy to forget about something like a coupon for a free appetizer. So I made sure to send people a reminder message several days after they entered the contest. This is a pretty short & simple message, but it actually has some powerful psychology behind it. First, notice that we reinforce the fact that the coupon will expire on August 31st. This creates a sense of urgency in the reader’s mind. The goal behind those buttons was to get people to pre-commit to coming in for a meal. 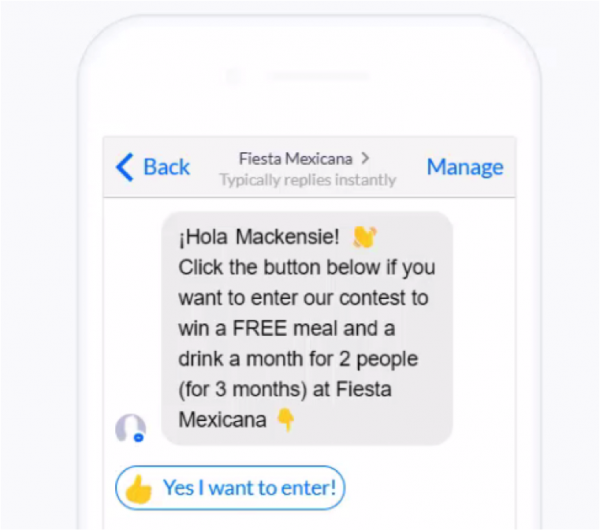 My theory was that if people commit to visiting the restaurant, even if they’re just clicking a button in Messenger, it makes them more likely to actually follow through on that commitment. And as I mentioned above, it worked really well! Overall this reminder message was successful. It wasn’t perfect, of course. If I had the chance to run it over again, I would probably tweak this reminder message a little bit. It’s not a huge change, but starting the message this way would have probably improved the engagement rate of this reminder message and maybe got a few more people to come inside and redeem their coupon. When I ran this campaign for the client, I was thrilled at the results we were able to generate. 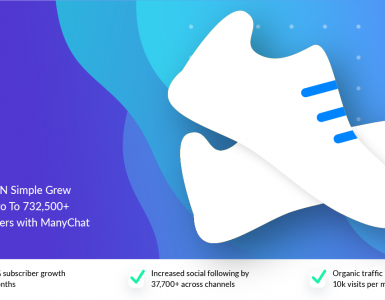 But even more impressive, I think, is the massive potential it shows for the future of Messenger marketing in general. I mean think about it, guys. This campaign wasn’t run by some massive tech company with unlimited resources and a huge marketing department. This was a standalone Mexican restaurant in Spokane, Washington. 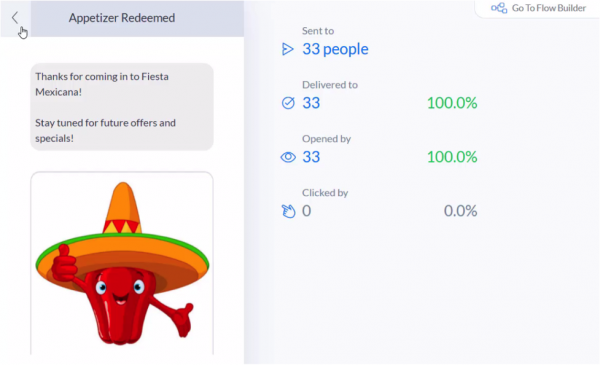 If a small local business can use Messenger marketing with this much success in their very first try, just imagine what YOU can do—especially after you’ve had a few chances to refine and improve it to fit your business. I recently ran a campaign to people who came in on this particular Giveaway ad campaign selling a dozen tamales for $24 for the month of December. I had four people place a tamales order just from the broadcast I sent out within a few hours to people who were already subscribed. Compare that to the ads I was also running that have brought in four other orders at about $20 a lead. So the four orders from the broadcast technically has brought down the cost per lead from the original ad campaign down even further. I hope you found this helpful, and I’m looking forward to seeing some of the Messenger campaigns you’re able to build with this as a starting template! Mackensie Liberman’s path to becoming a digital marketer has been far from typical. 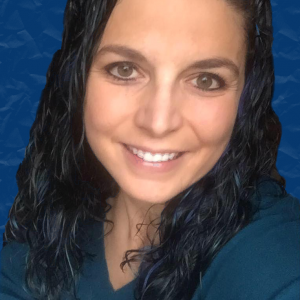 With her friendly nature, background in science and statistical analyst skills, combined with her love of computers and tech, her transition into the digital marketing field from Cytogenetics was a very easy one and has helped her to get great results in advertising for her clients. She has been involved with ecommerce marketing online since 2012, and after the success she experienced for herself, she dove into helping small businesses with their digital marketing needs in 2016, with her focus being mainly in Facebook, Messenger Bots, and YouTube combined with sales funnels to get outstanding results. Great content. It’s been very useful to me because it helped me to understand the power of this tool. What do you use to determine the giveaway winner ? Thanks for sharing this. The only thing where I’m not sure about is the reminder sequences. It looks like a little too much promotion. It’s, I think, a little bit risky after the 24h window for sending a message to a client. Thats exactly what i was thinking, isn’t that 2nd message considered promotional? amazing.. I am doing a few similar things and working with clients on the in-house redemption.. Great Case Study!! 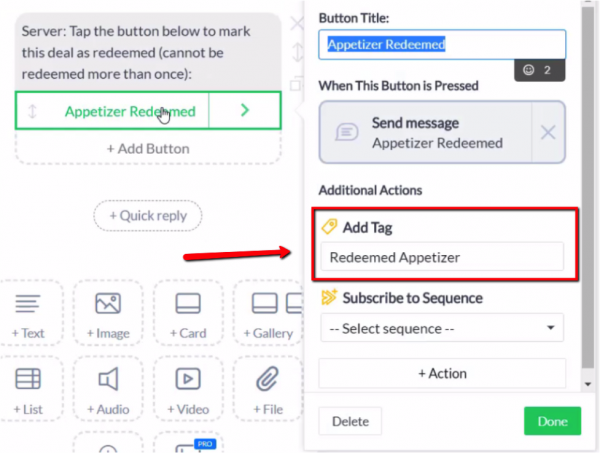 What stops the user from clicking the redeem button himself/herself ? That would just mean that it was already redeemed.